Viscous formula clings longer for more thorough action. 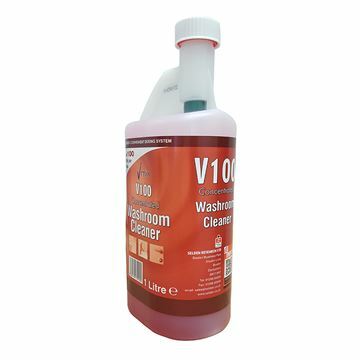 A concentrated lavatory cleaner which removes limescale and organic deposits. 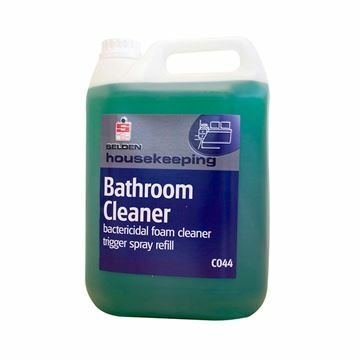 Cleans and descales washroom areas. Leaves bathrooms and washrooms clean, sanitary and fragrant. Easy to use, spray on wipe off. Clings to vertical surfaces for effective cleaning. Mildly acidic to remove scale build up when used on a regular basis. Pleasantly fragrant in use. Safe for use on ceramics. Powerful thick formula effective against all pathogenic organisms. Contains added detergents for improved cleaning. Pot-pourri fragrance keeps drains and toilets fresh and sweet smelling. Pleasantly perfumed to deodorise stale toilet smells. 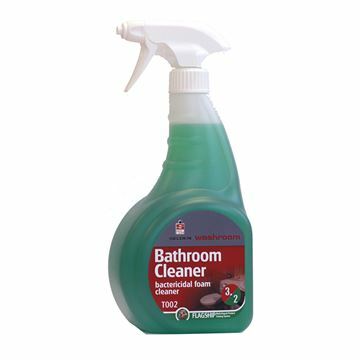 Leaves a quality 'just cleaned' freshness to any washroom environment. Viscous high active formula clings longer around the bowl for a more thorough action. Will not affect septic tanks. Superstrength formula removes stubborn limescale buildups. Ideal for hard water areas and rennovating older toilets. Kills odours at source. Leaves a fresh bouquet fragrance. Dymajet is designed to remove scale and staining from glazed ceramic surfaces. Dymajet is viscous and will cling to inclined and vertical surfaces. 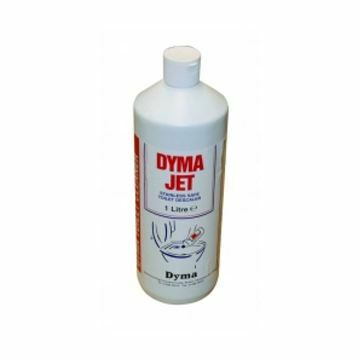 Dymajet may also be used to clean stainless steel. 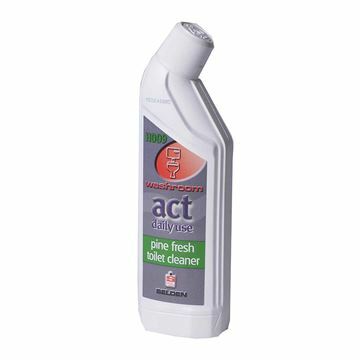 Pleasantly perfumed, concentrated all round washroom cleaner. Contains powerful bactericide. Effectively kills bacteria on all hand touch surfaces: taps, toilet flush handles, door handles etc. 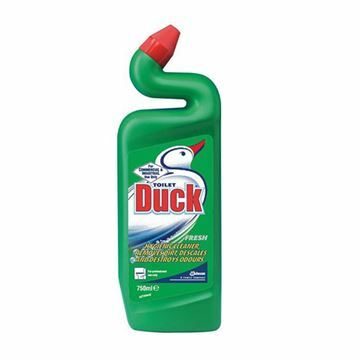 This toilet cleaner, with a distinctive duck neck bottle, makes application quick and easy and ensures the cleaner gets maximum coverage in the toilet bowl.